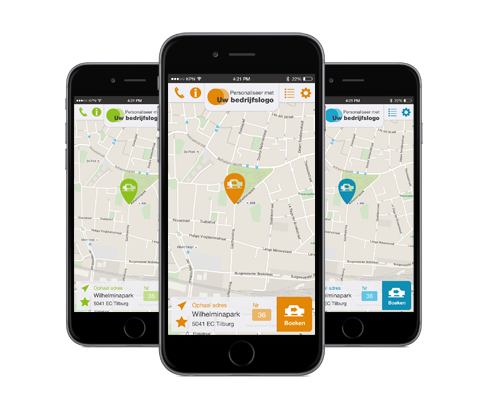 No hassle, no trouble, and simplicity is key; that is why we have developed our bookings app. This easy system perfectly connects to the Cabman Central and Cabman Online. 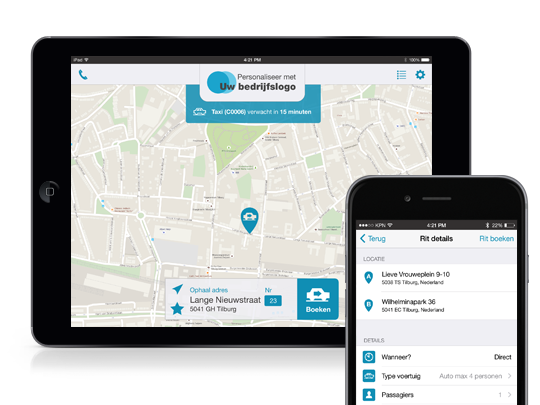 In addition, the bookings app is an extension of the existing online bookings form, and can be connected to other types of planning software. You can physically offer your services at hotels, restaurants and other companies by setting up the app at a fixed location, for example. The status of all bookings can easily be checked in one convenient overview. This app can just as easily be employed to service the private market as a private bookings app. Private customers download your personalised bookings app from the Google Play or App Store. 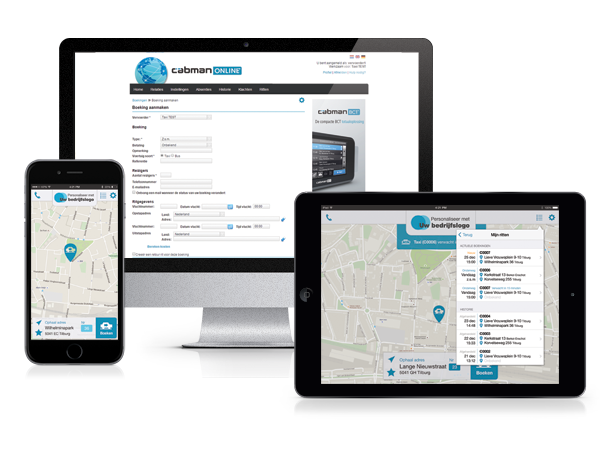 Cabman Mobile Booking is available for iOS and Android. This app can be downloaded from the App Store and Google Play Store. You can decide to oblige your customers to log in to the bookings app. 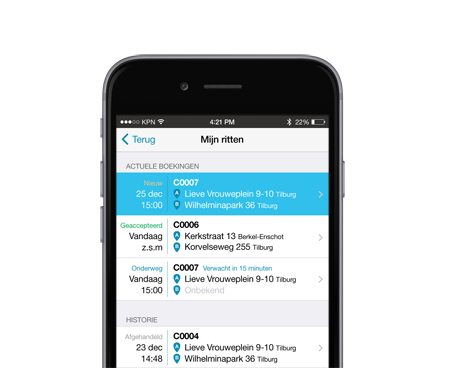 The new Bookings app will be tailor made to your preferences. You can determine your own logo and colour scheme, ensuring that the app matches the style of your company and is recognisable for your customers.